Regular readers will have noticed that our weekly Charity Tuesday Adopt a Cat feature had taken a break for a while. But now we're pleased to say that we're back doing what we're passionate about - helping homeless pets find their forever homes! Handsome Ozzy is looking for a new home but needs a very particular and special type of home where he can be himself. He has had quite a bit of upheaval in his short life and this has left him feeling a bit frustrated and anxious. 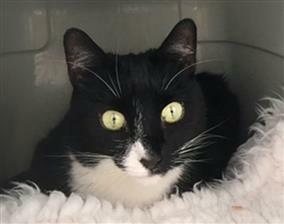 A patient and understanding owner is what he needs to help him find his mojo and become a confident and settled cat. Ozzy has a warm and loving side to his nature though and he has the ability to wrap people around his little paws. Disclosure: I received no compensation for this post. 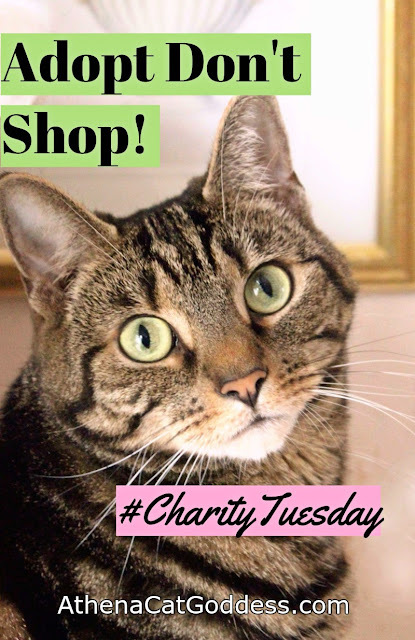 As a rescue kitty myself I want to help other rescues find their forever home, so each week on Charity Tuesday I share adoptable cats from Wood Green, the Animals Charity (which is where I was rescued) and some other charities dear to our hearts. Mum and I are so grateful to Wood Green because without them we would never have found each other! Please note however that this post does contain some affiliate links. This means if you click on the Amazon links to purchase any of the items featured, I will receive a small affiliate commission. We are not affiliated with any charity mentioned in this post. I'm glad you're bringing back these kitties looking for homes. We are very happy to see that adopt a cat is back and we all can spread the word on helping these kitties find their furever homes. Ozzy, you are very handsome and we hope that a family comes along and you will be able to feel comfortable in your new home. Thanks for the share. Good luck little guy. What a handsome little guy. We hope he finds the forever home he needs and deserves. What sweet pictures, Ozzie is sure to get a furever home he is such a doll! You can never say 'Never shop, always adopt' too many times! We will be happy to share Ozzy on social media. We sympathise with his nervous demeanour but I hope there is someone out there for him.